Cleansing and detoxing are all the rage. You can have fresh, organic juice cleanses delivered to your door, pick up a detox kit at your local health food store, or follow one of the many do-it-yourself programs endorsed by celebrities such as Dr. Oz and Oprah. Advocates claim detox diets and cleanses eliminate “toxic buildup in the organs,” resulting in weight loss, high energy, clear thinking, hair growth with a better shine, vibrant skin, and more. Cleanses, we go for them hook, line and sinker! Why do we think we are so dirty any way? Perhaps, it is our conscience telling us we need to live a healthier lifestyle! The truth lies (no pun intended) in eliminating all toxic waste from entering your body the first place. Stop the madness by getting rid of white sugar, white flour and most other flours, white bread, excessive caffeine, alcohol, additives preservatives, dyes etc. and otherwise. If we decrease the amount of toxic waste coming in, our systems will be less likely to have a toxic load and try to eliminate impurities. Let’s look at the common components of these increasingly popular cleansing regimens and sort out fact from fiction. Many detox/cleanse programs advocate foregoing food and drinking lots of juice. There’s nothing wrong with laying off food for a few days. Fasting is a powerful therapy that gives your system a break, facilitates weight loss, and lowers blood pressure and helps normalize blood sugar. It needs to be done in a very careful manner in order to not metabolize lean muscle as you are doing the fast. Take caution with a juice fast or cleanse. The caution with a juice fast is that it often contains large amounts of fruit. While there are a lot of vitamins in this approach, there are also a lot of calories that come from sugar. Most of us that have weight to lose also have a syndrome of insulin resistance and cannot handle this amount of sugar. We may be taking a break from the standard American diet and the excessive amounts of processed foods we eat during a juice fast but there are some serious pitfalls. In a juice fast the amount of sugar can be detrimental to one’s long-term success. The nutritional information on some of these beverages and the recommended day’s quantity contains a massive amount of sugar, almost no fiber, very little protein and fat, and about 1-2000 calories (again mainly from sugar). Try Intermittent fasting as an alternative. You may want to consider short intermittent fasting that is guided by an educated practitioner. This will ensure that you do not have unstable levels of blood sugar or inappropriate surges of the hormone insulin from too much fruit. Short intermittent fasting puts insulin to sleep. Insulin is a hormone that maintains a fat storing state. Short intermittent fasting also provides assurance that you lose the appropriate type of weight from fat mass and not lean muscle. Another common feature is an elimination diet, which calls for cutting out sugar, salt, alcohol, caffeine, sodas, grains, and processed foods. Drinking lots of water and emphasizing superfoods such as broccoli, kale, beets, and berries. These diets may also require purchasing special drinks or supplements. This approach is much healthier, as we started the conversation stating that illumination of these toxic things is the way we should eat every day. The problem with taking this approach is that it gives us permission to return to the standard American lifestyle once we complete the “30 day” detox! Why are we not living this way all the time? Is it any wonder that we return to a toxic state? If our nutritional protocol is riddled with these things that cause disease why on earth are we even participating in such things. If we live a healthy lifestyle every day, there is no need to detox. Living a healthy lifestyle encourages what I consider conscious living. You should always be conscious, focusing on your health, being conscious of what you put in your mouth, eating less, giving up junk food, and drinking more water and less alcohol – habits that you will stick to. It takes effort to live healthy every day and do the right things. The efforts of living in such away bring quality to your later years. Healthy living avoids the need for medications as we age. If you ask yourself a few questions such as: Is this food good for me? Do I really need this? If I need this right now, why? Chances are you’ll find it’s not good for you and if you eat it you just added to your toxicity. Why would you do that? Do we have to detox? Our bodies are miraculously made. We are detoxifying every second and every hour of every day. The best detoxification is to never put that substance in your body in the first place. Your liver and kidneys are always undergoing the processes of detoxification. Our bodies naturally detox from unwanted toxins. There are very specific phases that they go through including phase 1 and phase 2 of detoxification. These phases require specific nutrients that allow for the easy transition of food and other substances that come into the body and guarantee their elimination and detoxification in the appropriate ways. Because elimination diets are short term, usually a week to a month, most people return to their old ways upon completion. You should be eating a high-fiber, nutrient-dense, vegetable-rich diet every day. 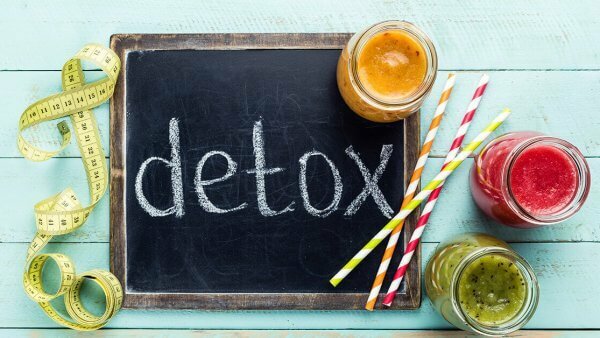 Healthy living abolishes the need to be as strict as these detox diets. Plus, with these detox diets, they missed the mark. If you are going to go on a detoxification plan, speak with an educated provider who understands the nutrients that are necessary to increase the detoxifying capacity of the organs that do that for you every day. At The Functional Medical Institute, we recognize that in the real world, people eat all kinds of junk, drink excessive caffeine, alcohol, eat red meat, bread, and desserts every day and even in excess some days. We passionately teach them how to live better, not for days or weeks but for a lifetime. I can find no research to support the liver flush or colonic irrigation. These colonic irrigation techniques remove all of the friendly bacteria that are specifically designed for immune support and digestion. If you wash them all out how do you get this immune support system replaced? There is no need to take laxatives for cleansing. This is a risk that can lead to negative consequences and is a bad idea. How to naturally care for your liver and colon. There are healthier steps to support your colon and liver. Fermented foods such as yogurt and probiotic supplements nurture beneficial gut bacteria. High-fiber diets and supplements improve elimination and bind to toxins in the gut, moving them out. This does not take any aggressive action in terms of detox. To give your liver a break, go easy on alcohol, over-the-counter medications, excessive supplementation and get serious about weight loss. Non-alcoholic fatty liver disease, which can lead to serious liver dysfunction, is closely linked with obesity metabolic syndrome and diabetes. A healthy lifestyle that includes nutrition and exercise are the best therapies. If you never put toxic waste in your system, you never have to worry about how your body is going to get it out. I recommend taking a good quality multivitamin mineral supplement. The liver doesn’t filter out toxins but converts them into less-toxic compounds that can be eliminated by the kidneys and colon. This process requires glutathione which neutralizes toxins and protects the liver. Supplemental selenium and vitamins C and E help activate and recycle glutathione, and milk thistle (silymarin) and alpha lipoid acid enhance liver health and are a must for anyone dealing with liver dysfunction. Multivitamins also help protect against the ill effects of toxins throughout the body. Many heavy metals and chemical pollutants cause cellular damage via oxidative stress. This increases the need for supplemental antioxidants since antioxidants protect against oxidative damage. Cellular “house cleaning” requires folic acid and vitamins B6 and B12. Magnesium, calcium, and zinc reduce the absorption of heavy metals in the gut. Zinc helps negate cadmium toxicity, and a robust vitamin C status is associated with lower blood levels of lead. Detox is a daily affair. Never forget that your body’s remarkably effective detoxification system is working 24/7, whether you’re cleansing/detoxing or not. It’s the small steps you take every day to improve your health and support your all. Steer clear of obvious sources of toxins, eat a fiber and vegetable rich diet, and drink a lot of water. We have a tendency to avoid vegetables and they are crucial to our long-term wellness. Suggested supplements in addition to our well known core four include a potent daily multivitamin (look for one that contains selenium 200mcg, zinc 30mg, vitamin C 1,000+mg, vitamin E 200 IU), alpha lipoic acid 600mg, and silymarin/milk thistle 900mg. Click here for more on When and How to Detox. Before taking any kind of excessive amount of nutrients or supplement talk to a provider who is well-informed.